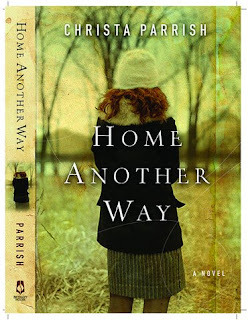 Author Christa Parrish sent me an autographed copy of her book, "Home Another Way," to give as a gift or a blog giveaway. In case you missed it, I reviewed this book last Wednesday (3/11/09). Christa's writing is superb, the story compelling, and the characters unforgettable. The rules: 1) The contest will run from Wed., 3/16/09, through Sat., 3/21/09. A winner will be drawn from the entries on Sun., 3/22/09. 2) Entries will be accepted from those living in the Continental United States. 3) Leave a comment with your email address, so I can notify you if you win. That's it! Don't miss an opportunity to get a real page turner from an up and coming author. How kind of Christa to offer your readers this opportunity. Please include me in the drawing. I'm not gonna miss my opportunity! :-) Enter moi, please. And how nice of her to do that! Yeah! I'm the first to comment! Hope that means I move to the front of the winner's line! LOL! Enjoyed the review and want to read this book. Even if I don't win, I'll buy it! I'm glad you entered. Since it's a drawing, everyone has an equal chance. I'll put all the names in a bag and have Mom draw the winner. Consider yourself entered. I already have your email. Thanks for entering the drawing for Christa's book. She's an excellent writer and has a generous heart. I can't wait to read Christa's book. Please enter me in the drawing. Thanks, Susan. Please enter me, I'd love to win this book! Um, isn't the 16th a Monday? That's today, I think! I want to be entered too! I just read you're review of this book. Sounds fantastic! Ok--It looks great and I want to enter so I will be back! BTW--thanks for the writing opportunity! Thanks for entering the drawing. I couldn't put her book down. Oh me, let it be me lol! I've heard a lot about this novel. :) I' love to read it! Welcome! Yes, I have your email. I'm glad you decided to let me know you're reading the blog. BTW, could you leave me your email address? 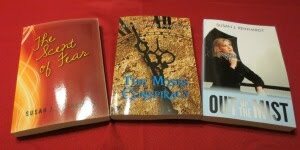 I love giving away books and promoting fellow authors. Christa's generosity is greatly appreciated. Be sure to stop in Sunday night for the big announcement. I'll email the winner for their snail mail address. I would love to be entered in the drawing. Please, enter me! Thanks for entering and the nice compliment. Welcome to my blog! I post here Monday, Wednesday, and Thursday. The winner will be drawn on Sunday and notified via email. An announcement will be made on the blog also.